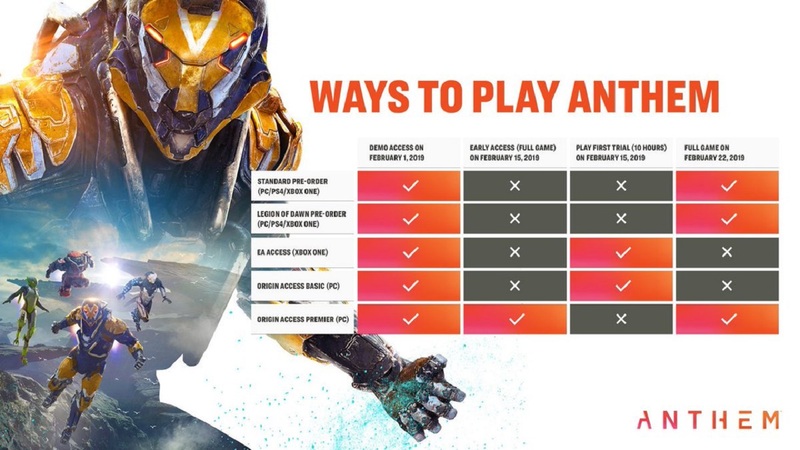 In a time where a game can't just get a simple release, EA has doubled down on the craziness and has released an infographic detailing the many different times gamers will be able to play the much-hyped online shooter, Anthem. With the shaky VIP demo weekend now in the rear-view, those who missed out will have the chance to jump/fly into the open demo this coming weekend. After that, those with an Origin Access Premier subscription on PC will have early access to the full game from February 15. On the same date, PC and Xbox users with EA Access or an Origin Access Basic subscription will have ten hours of early access to the game before it's official launch. For the rest of us, we'll have to wait for release day on February 22. I'm not a huge fan of these drawn-out release periods as it segments the audience too much and makes it that much harder to avoid spoilers from those lucky enough to have early access. 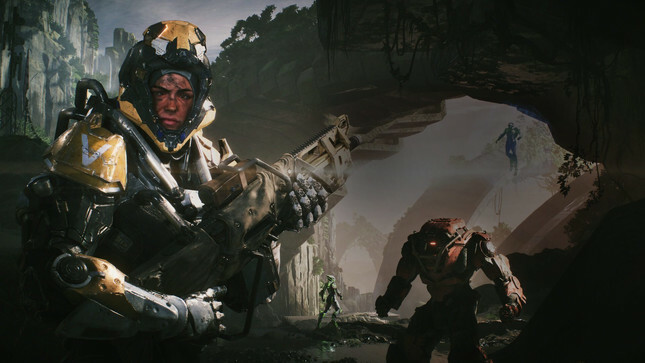 What do you think of the Anthem rollout? Is it too convoluted or do you appreciate having the option to essentially pay extra to jump in before the majority of other players? Check out EA's release schedule below. Anthem releases February 22 on PlayStation 4, Xbox One, and PC.